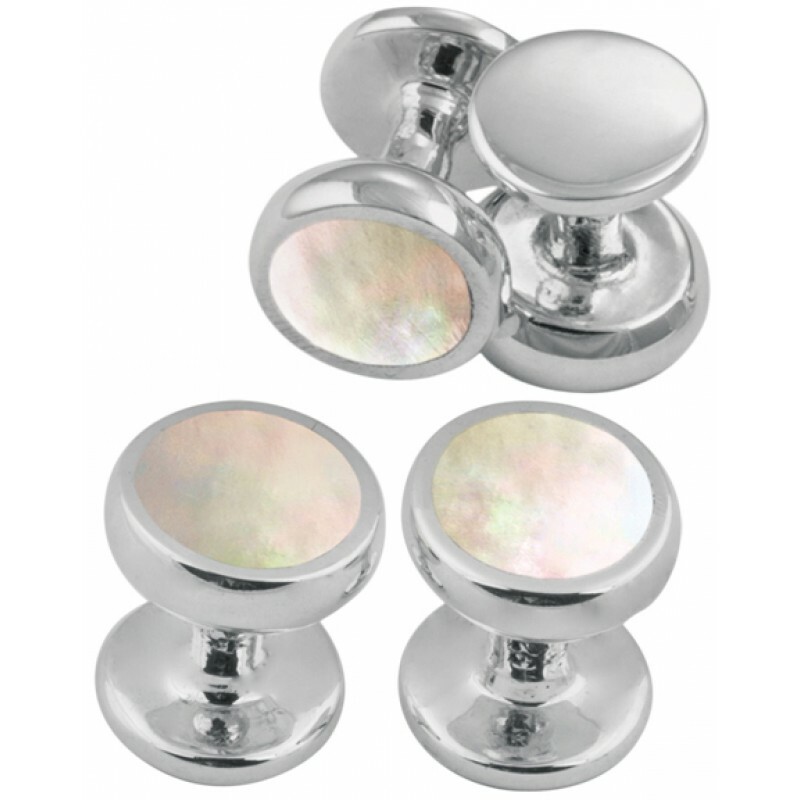 Plain yet eye-catching, this set of mother of pearl studs would make a great addition to any evening dress shirt. 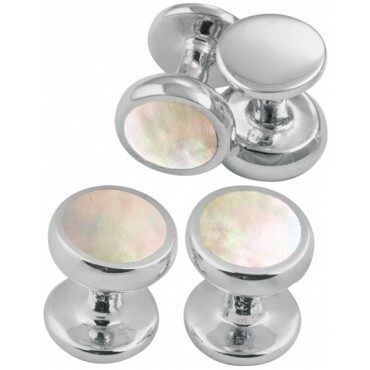 With a set of four studs, you can decorate your shirt with premium quality hallmarked sterling silver and mother of pearl. Hand finished and hand polished to create the finest silverware, here at Ari D. Norman, we make and design all of our products in Britain.